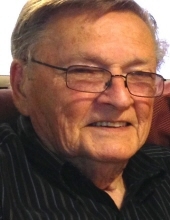 KARNS, Lawrence Bell - Age 83, of Gaines, passed away peacefully on February 4, 2019. Services will be held at a later date. Larry was loved by many and will be sadly missed. To send flowers or a remembrance gift to the family of Lawrence Bell Karns, please visit our Tribute Store. "Email Address" would like to share the life celebration of Lawrence Bell Karns. Click on the "link" to go to share a favorite memory or leave a condolence message for the family.